Since its creation in 2006, Misencil has become a true leader in the beauty industry and the ultimate reference in eyelash extensions. 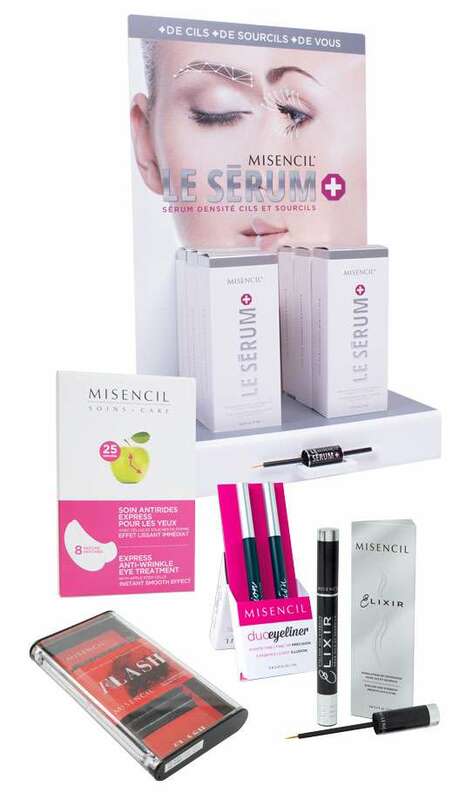 It is in the suburbs of Montreal, in a town named Terrebonne, that the couple Ingrid Gagné and Jean-Jacques Benguigui, both fashion and beauty enthusiasts, created Misencil. 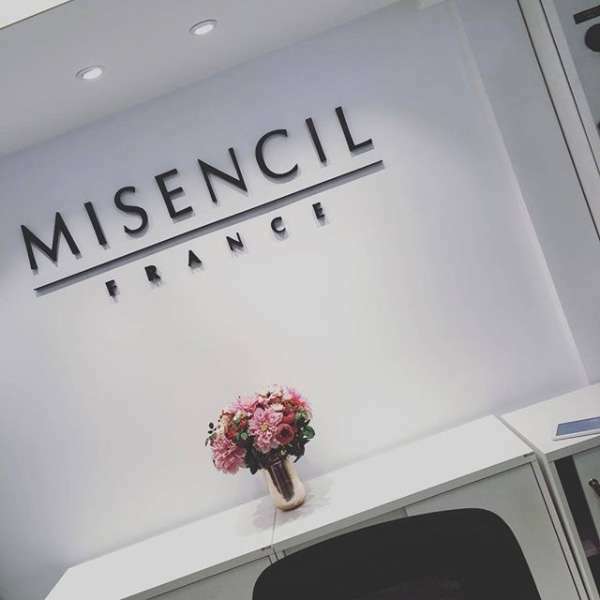 The brand rapidly caught on, and in no time salons as well as cosmeticians all around the globe joined the Misencil network, with today over 20,000 dealers worldwide. In 2012, we have met an extraordinary woman that deeply moved us. We were immediately consumed by her art, her talent, her way of communicating, and her story. Her name is Natalie Soul. 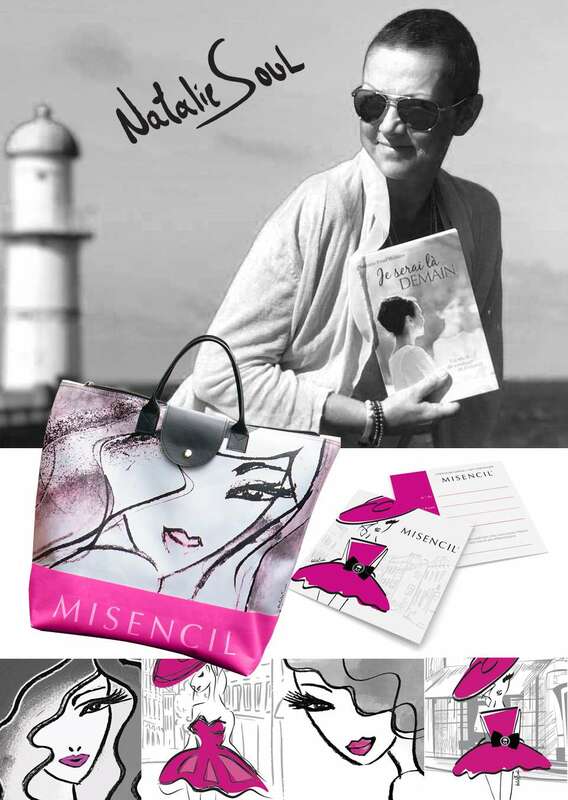 Misencil has chosen her highly emotionally-charged works of art to represent the brand. The femininity expressed in Natalie’s art perfectly illustrates our philosophy: the power of all women to seduce with their eyes and their inner beauty. Natalie is one of the few people who has the same intoxicating effect on everyone she meets; she impresses with her vitality and forever leaves an imprint. 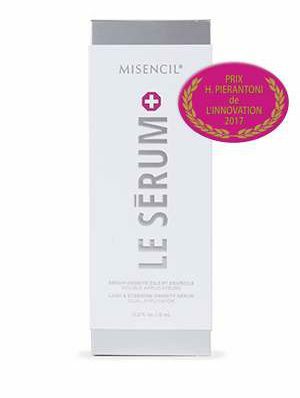 The cosmetic industry acknowledged this unique innovative product with the H. Pierantoni prize. The independant jury of this award is formed of beauty journalists from both mass media and professional press, in addition to various health and beauty. Launched in 2017 and 2018, the Keratin and Panthenol line includes the Protector for natural lashes and lash extensions, the Revitalizer for natural lashes and lash extensions, the Protector and Revitalizer Duo, the Chic Duo and the Fix. This line of innovative product won the prestigious 2018 H. Pierantoni Innovative Award during the annual convention in Paris. This line of products nourrish, prep and style natural lashes, lash extensions and eyebrows. A prestigious award presented by an independant jury formed of beauty journalists, in addition to doctor, dermatologist, consultant, cosmetologist, estheticians, etc. 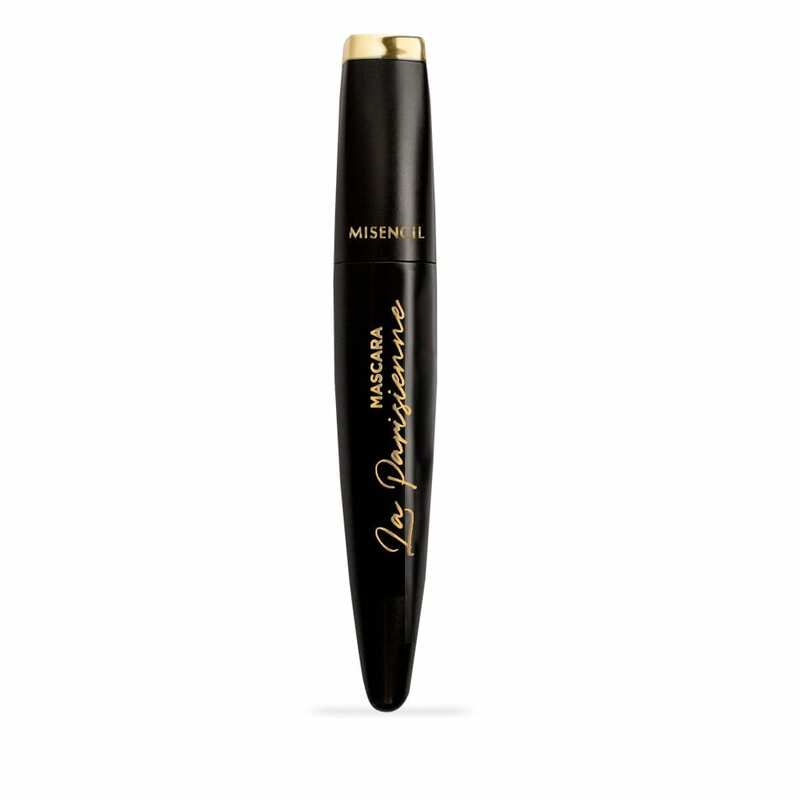 Misencil’s newest innovation Le SÉRUM+ was launched in 2016 and fullfilled the need for stronger, longer eyelashes & fuller eyebrows in one product. Every year, the professional magazine Les Nouvelles Esthétiques acknowledges the latest innovative products during the annual convention of the same name in Paris. This year the Flash lashes won the prize. 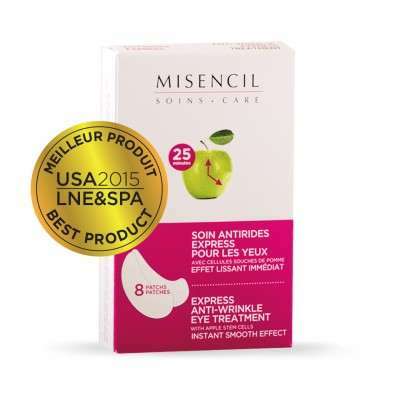 State of the art cosmetic product formulated with apple stem cells and flagship product of the Misencil Pomodermie line, the Express anti-wrinkles treatment patches was awarded LNE & Spa’s Best product of 2015 voted by the public in the USA. 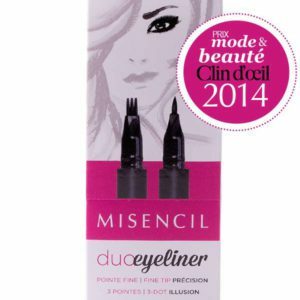 The one-of-a-kind Misencil DuoEyeliner won the honors of the jury with its 2 longwear eyeliners Precision and Illusion. The fashion & beauty award of the popular Canadian Clin d’oeil magazine rewards the best products of the year in their respective category. Beauty experts as well as 2 famous Quebec personalities known for their sense of style (Virginie Coosa and Bianca Gervais) were part of the jury. 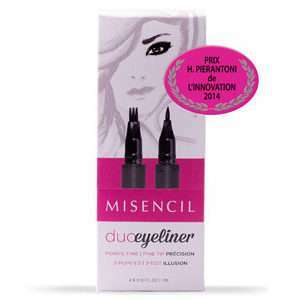 This was the second award for the DuoEyeliner in 2014. Every year, the professional magazine Les Nouvelles Esthétiques acknowledges the latest innovative products during the annual convention of the same name in Paris. The independant jury is formed of beauty journalists from both mass media and professional press, in addition to various health and beauty professionals (doctor, dermatologist, consultant, cosmetologist, estheticians, etc.). The Misencil DuoEyeliner definitely made the list! 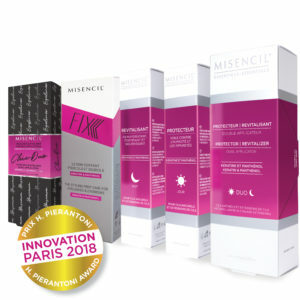 The Misencil eyelash and eyebrow growth activator Elixir won the prestigious 2013 innovation award for its innovative formula and results, delivered during the 43rd edition of the International Congress of Applied Esthetics in April of the same year. 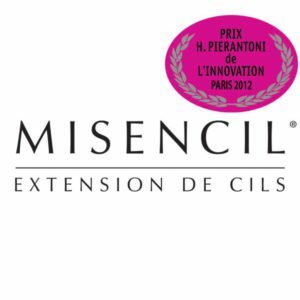 This was the second H. Pierantoni award for Misencil, which really established the brand as the leader in eyelash extensions. 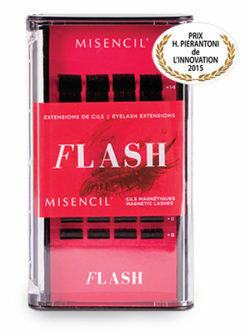 First world-class award for Misencil, this award recognized the unique and innovative aspect of the Misencil concept as the “best discovery” in France in 2012. Today, we have a network of over 20,000 dealers worldwide, including 5,000 dealers in Canada only. – says Ingrid Gagné, co-founder of Misencil. With one Canadian Head Office located near Montreal and one European Head Office in Paris, one American head office in Lighthouse Point, Florida, in addition to an Academy in Rome and numerous distributors in other countries in Europe and the rest of the world, beauty institutes, spas and lash technicians can get expert training, become an authorized Misencil dealer and be part of a strong and vast network.